Marketing to Millennials is both an enlightening look at this generation of consumers and a practical plan for earning their trust and loyalty. 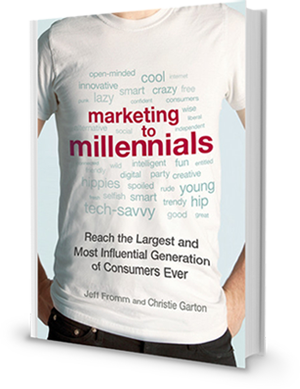 Based on original market research, Jeff reveals the eight attitudes shared by most Millennials, as well as the new rules for engaging them successfully. Millennials with Kids changes how we think about this new generation of parents, while it provides profound insights for marketers and brand strategists who seek to earn their loyalty. 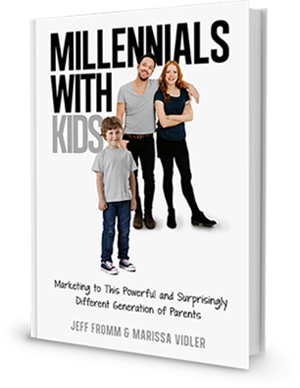 This book captures data from a new large-scale generational study and reveals how to enlist Millennial parents as co-creators of brands and products. 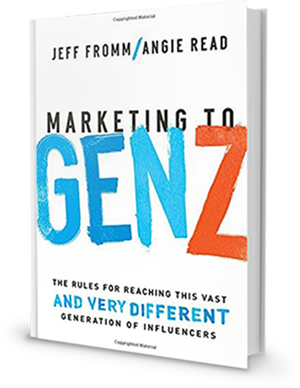 Drawn from original quantitative research and interviews, Marketing to Gen Z paints a fascinating portrait of the world’s newest consumers. Having internalized the lessons of the Great Recession, this pivotal generation blends the pragmatism and work ethic of older generations with the high ideals and digital prowess of youth. For brands, reaching this “mobile first,” socially conscious group requires real change – not merely tweaks to the Millennial plan.